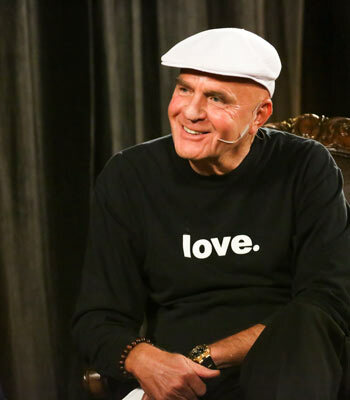 This week Dr. Wayne W. Dyer left his body. While he had his health issues over the years, he was so active and vibrant that his death still comes as a shock. I never had the opportunity to meet Wayne in person, but I felt, as you may too, that I really did know him. He was so personable and open about his struggles and triumphs that listening to his HayHouse Radio show always felt like chatting over coffee with a great friend and mentor. I met him instead through his vast collection of books and videos and radio shows. The material that he shared was always meaningful and helpful. One book, in particular, Change Your Thoughts, Change Your Life: Living the Wisdom of the Tao, has been my go-to book every time I have really struggled in life. His words were a ribbon of hope when I was at my most lost. As I wrote the first draft of my book, I always imagined that I would get to meet him one day and my imagined conversations about the meaning of life and the nature of reality would happen. Even if they didn’t, I still felt like I would at least get to meet him and thank him for inspiring me to live my dreams. And get a hug! He always said to not die with your music still in you. That the most tragic thing would be to have come to the end of your life without having risked being truly yourself and expressing who you are in the world. That always packed a punch. And it is even more impactful now that Dr. Dyer has suddenly left his body. I’ve really listened to this wise advice and I’m putting into action each day. I know that the time on the planet is finite even though the real me is infinite. Don’t get too comfortable and forget that you too will have to wear a suit with no pockets. But — I always thought I would meet him and get a hug. Just love. Dr Wayne W. Dyer has moved on to the next adventure. A giant bear hug from this giant of a man. While I absolutely know that he’s not gone, just in a different room, I still mourn the lost hug. I will never get my hug. But, perhaps… if I am lucky… I will get to hug those who have hugged him. Maybe if I hug enough of them, those lucky ones, I can put together a composite Wayne hug. That the collective echo of their last hug from him will, piece by piece, assemble themselves around me in two arms and one giant heart. Yes. It is always the hugs I miss the most. Much love to his friends and family. May you all be soothed by his eternal hug in the arms of all who knew him well. I wasn’t a major folllower but I really liked the teachings I dipped into and his appearances on PBS always inspired. I too kept thinking I’d either meet him one day or at least attend a workshop with him and, even though I know his big loving spirit is still with us just in a different form, I can’t help feeling a little sad I’ll never get that chance to be in his physical presence.